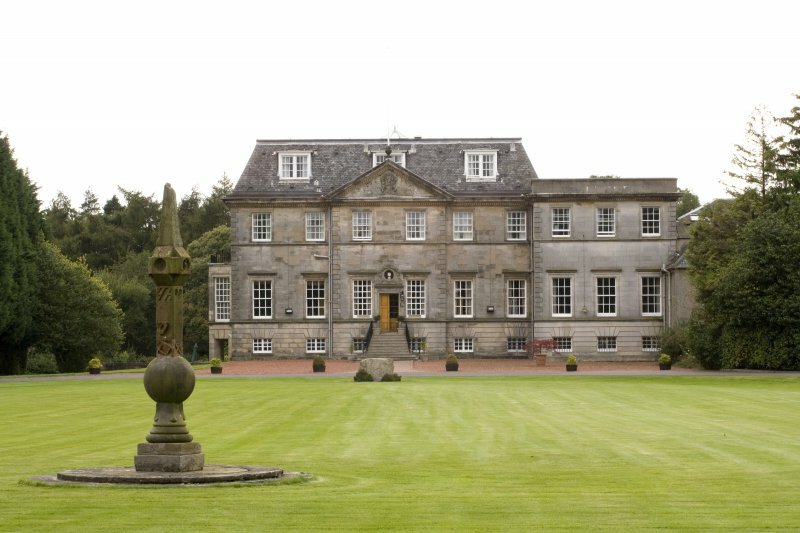 View from E of main house and David Bryce extension with East sundial in foreground. 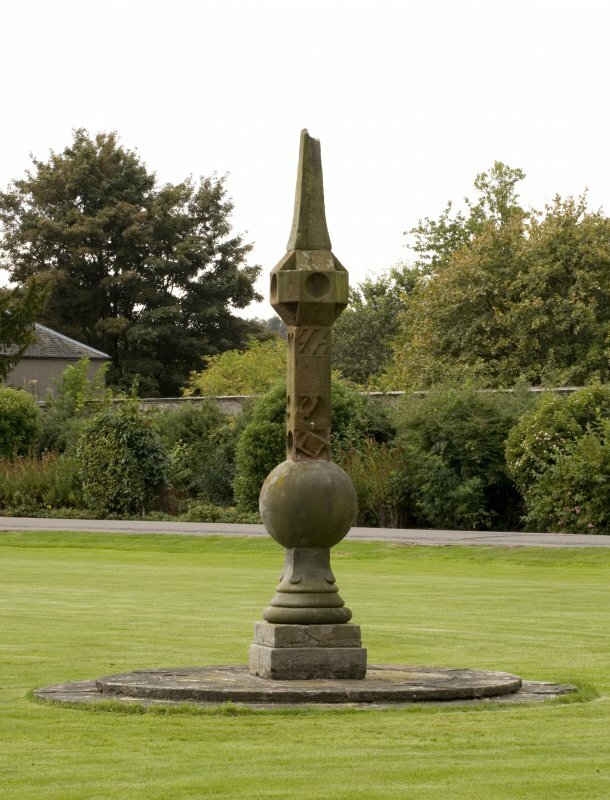 View of sundial to East of Craigiehall House, Edinburgh. 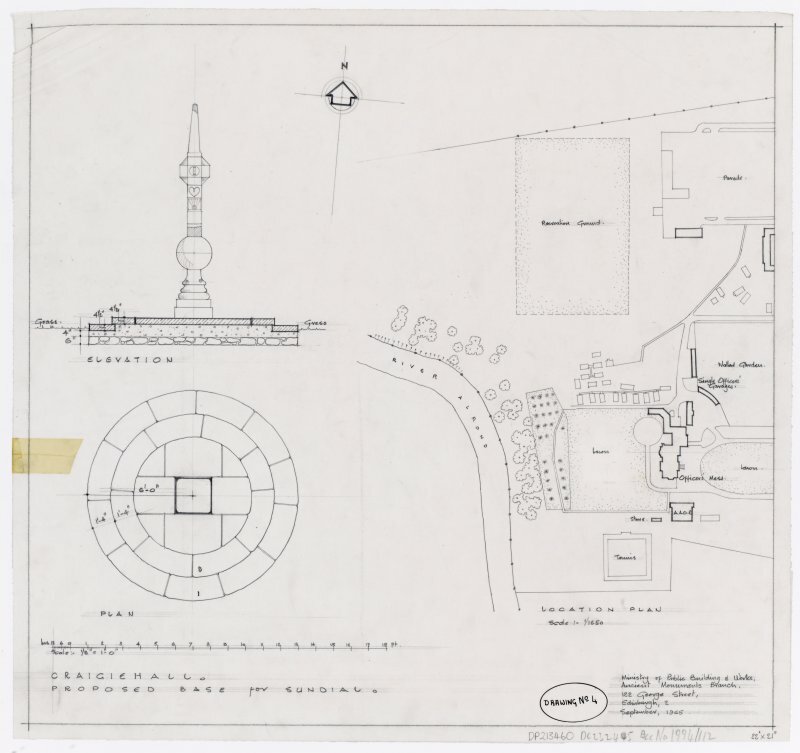 Drawing showing North, South, West and East elevations of East Sundial, Craigiehall House. 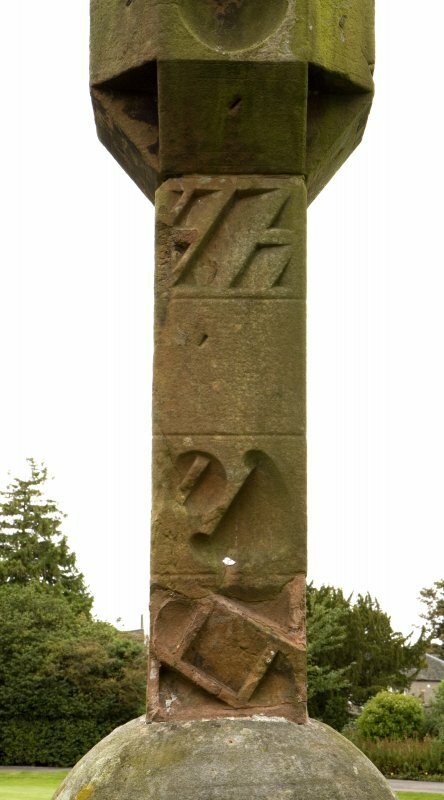 Detail of central section of shaft of the East sundial, Craigiehall House, Edinburgh. 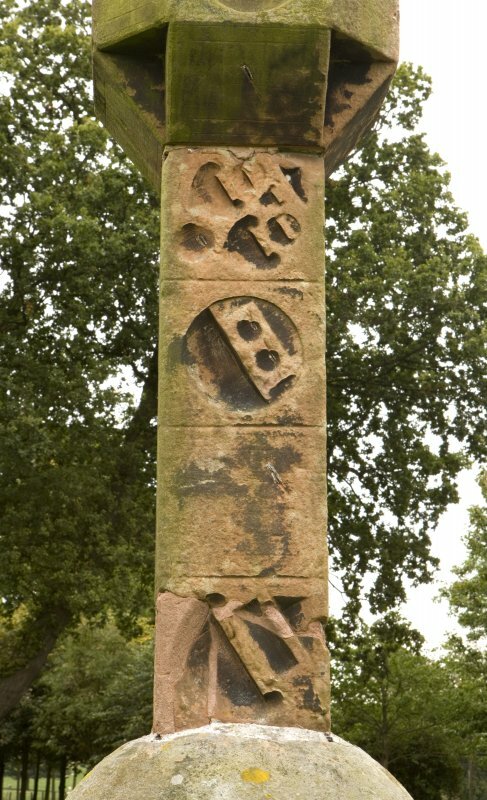 Detail of central part of shaft. 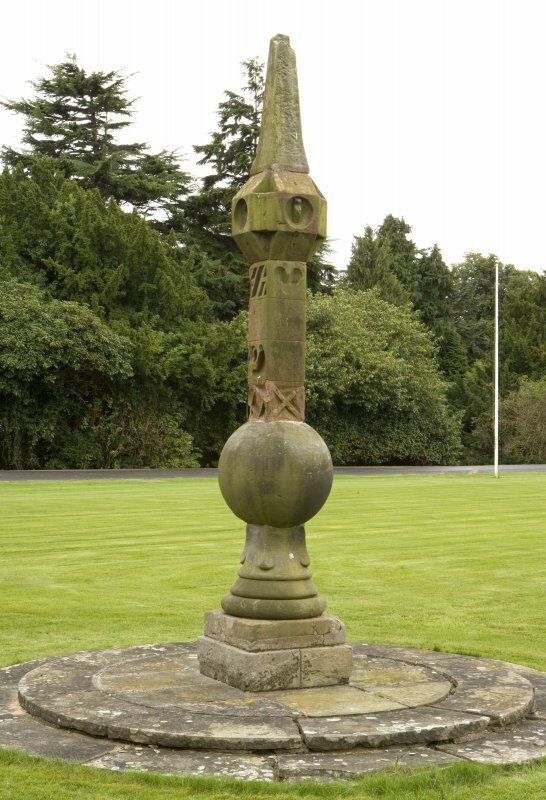 NT 1677 7543 Situated on the front lawn of Craigiehall, currently used as the Officers Mess for HQ Scottish Command, is an obelisk type sundial of late 17th/early 18th century date. 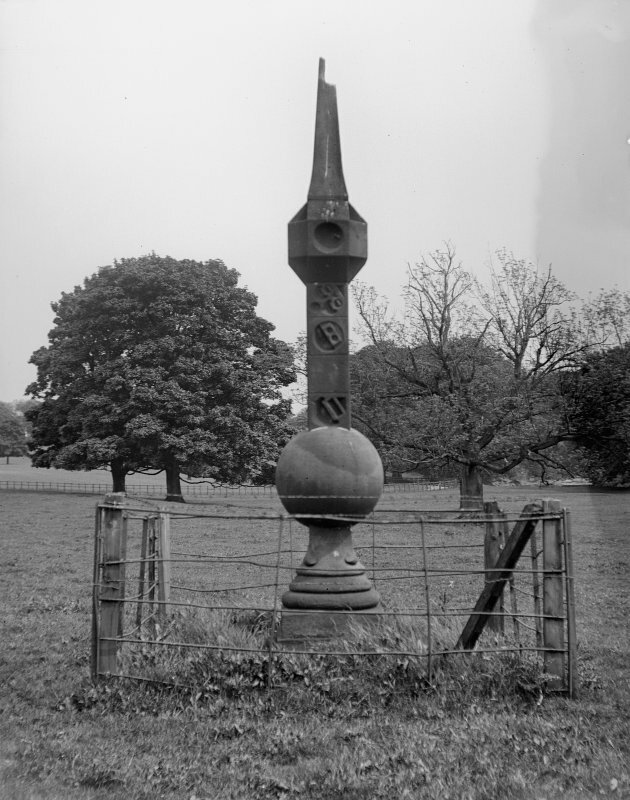 It was found about two years ago in the grounds of Cammo House (information from CO HQ Scottish Command) (NT 174 747) which dates from 1693. 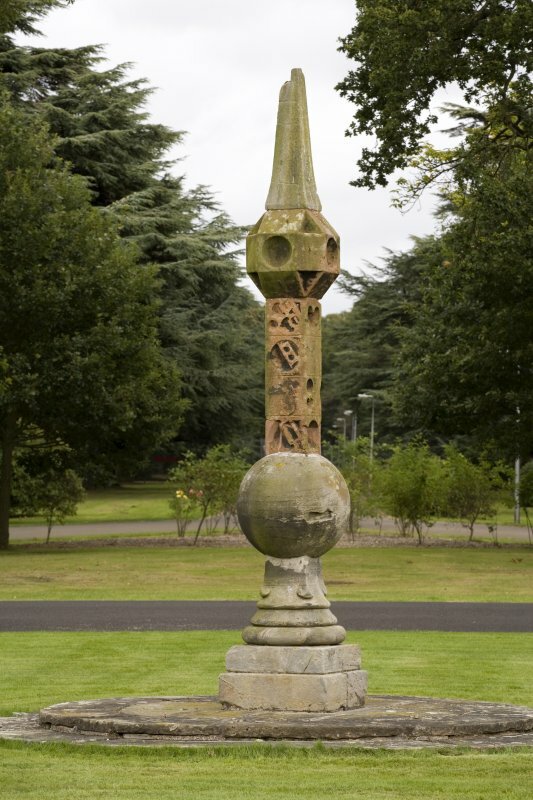 An Egyptian obelisk type sundial is situated at the W end of the lawn in front of the house (NT17NE 29.00). 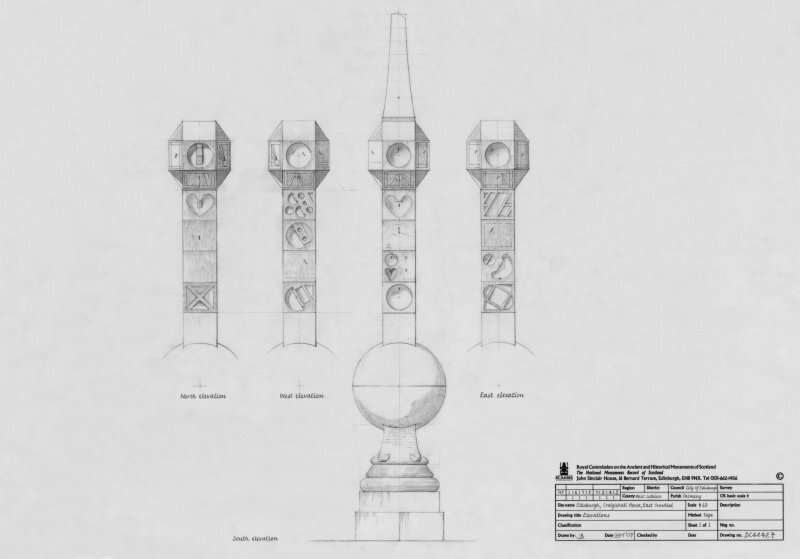 Measuring about 4m high and consisting of a square shaft with a circular bulged capital and tapering finial. 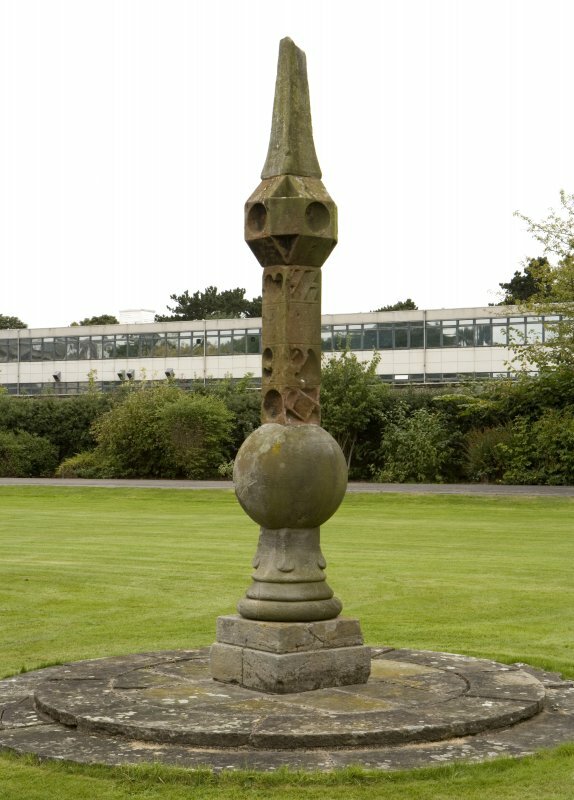 The sundial has been re-erected after being discovered in 1972, in pieces within an enclosure of old railings to the S of the Officers' Mess. 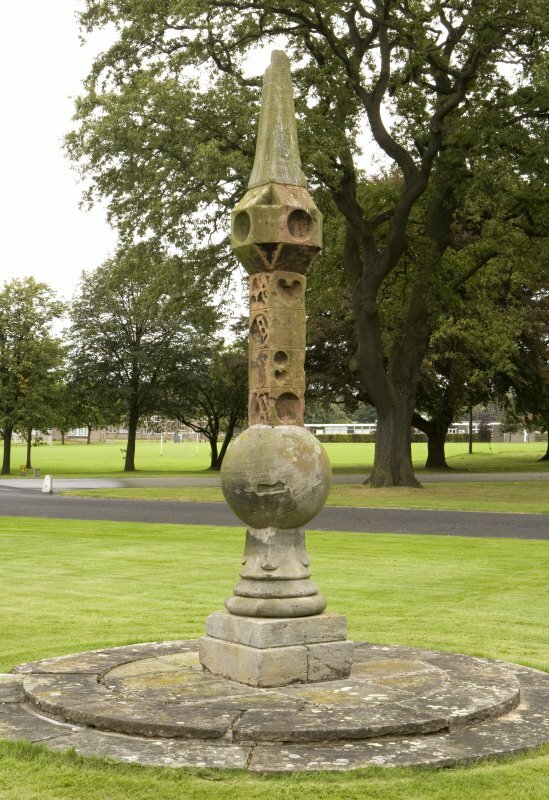 The sundial was restored by the Ancient Monuments Branch of the Ministry of Public Buildings and Works and re-erected on a circular stone stepped base at the present site (Innes 1996). 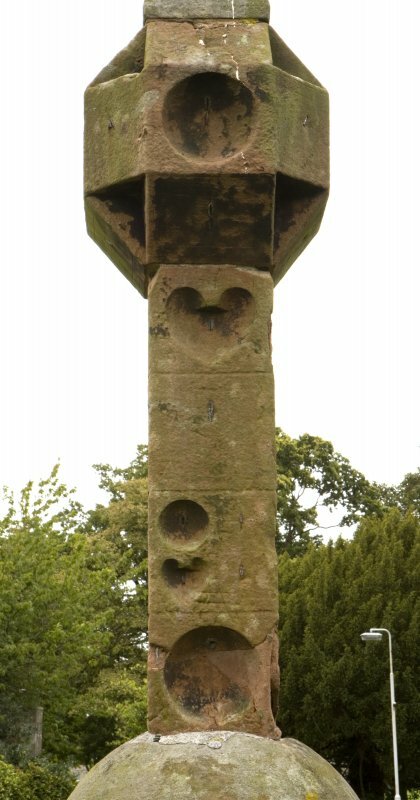 The shaft originally had five horizontal spaces, but only four are now visible as on reconstruction it has been sunk more deeply into the capital. The red sandstone section is now quite heavily eroded.